Originally from Seoul, South Korea, Mi-Ra Thuillant arrived in Paris in 2004 and underwent the Cuisine Diploma at Le Cordon Bleu Paris. The excellence of the training provided at the institute helped Mi-Ra to work with master Chefs. 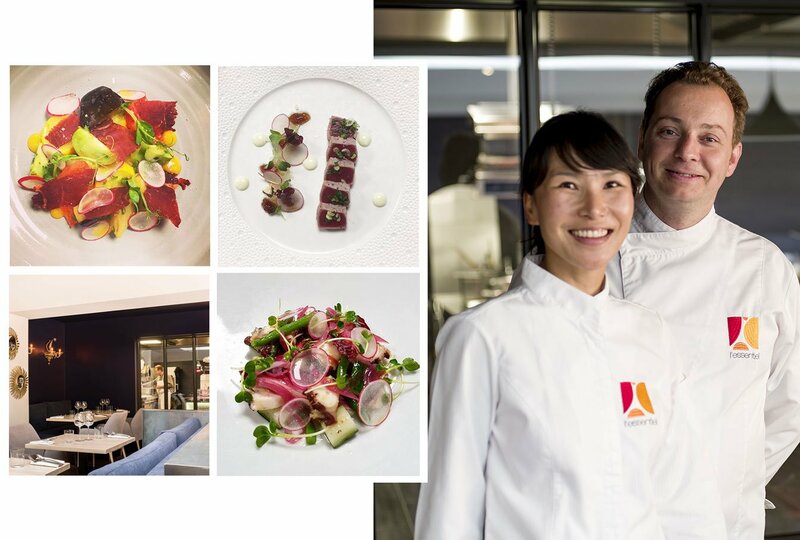 Since 2008, she opened her own restaurant in Deauville, “l’Essentiel”— which has been awarded a Michelin star. I decided to study cuisine as it was my passion, but also because I was very keen to travel. I am originally from Seoul and arrived in Paris, France, to begin my Cuisine Diploma at Le Cordon Bleu Paris in 2004. I loved the demonstrations, which are, in my opinion, extremely rewarding. Conversing with the Chefs and other students is also something I remember fondly. After carrying out my first internships at Le Cordon Bleu Paris and Ze Kitchen Galerie, I was taken on as demi-chef de partie at Ze Kitchen Galerie before moving on to the Atelier de Joël Robuchon. I then became chef de partie of Chateaubriand, also in Paris, before opening my own restaurant “L’essentiel” in Deauville, on 25 October 2008, with my husband. In 2010, we were voted young talent of the year by Gault et Millau and, eight years later, were awarded our first Michelin star. Set yourself concrete goals, dream and always be passionate about what you do. I now live in Deauville, a famous seaside resort 200 km from Paris. It is extremely busy during week-ends, when there are seminars, and during the school holidays. As such, we are very busy year round, especially during summer. Despite that, life is much less stressful than in Paris. The close proximity to nature and sporting facilities plays a significant role! We are still working on that! Being awarded a Michelin star has had a huge impact on how busy we are... Perhaps opening a specialty grocery store for selling our products?